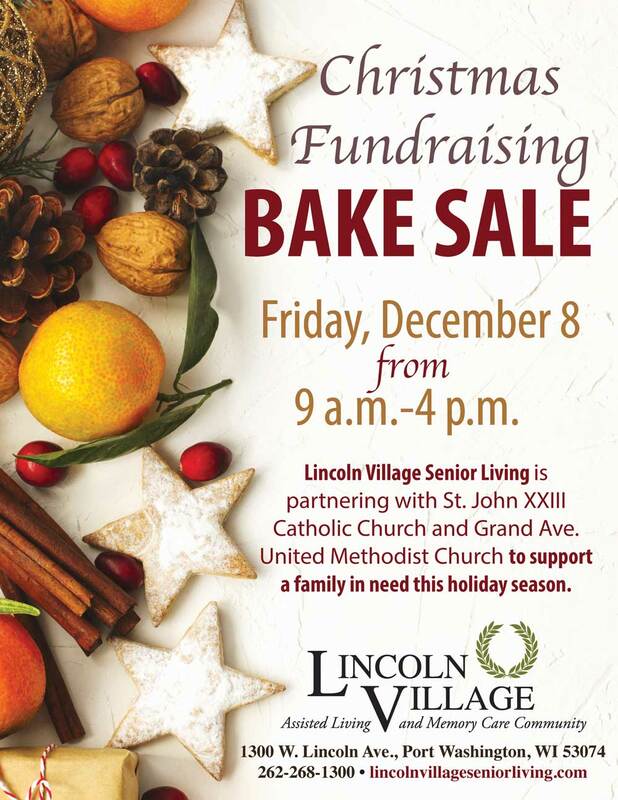 Lincoln Village Senior Living is partnering with St. John XXIII Catholic Church and Grand Ave. United Methodist Church to support a family in need this holiday season. Join us for Christmas Fundraising Bake Sale to grab a tasty treat or two and help us raise money for this worthwhile cause! Find the perfect Christmas gifts for your loved ones at Lincoln Village’s Independent Living Craft Show on Saturday, December 9, from 10 a.m.-1 p.m. Browse the knit hats, aprons, stocking stuffers and other cute gifts from area vendors. Plus, enjoy a sloppy joe sandwich for just $5! Are you seeking an exciting new position? 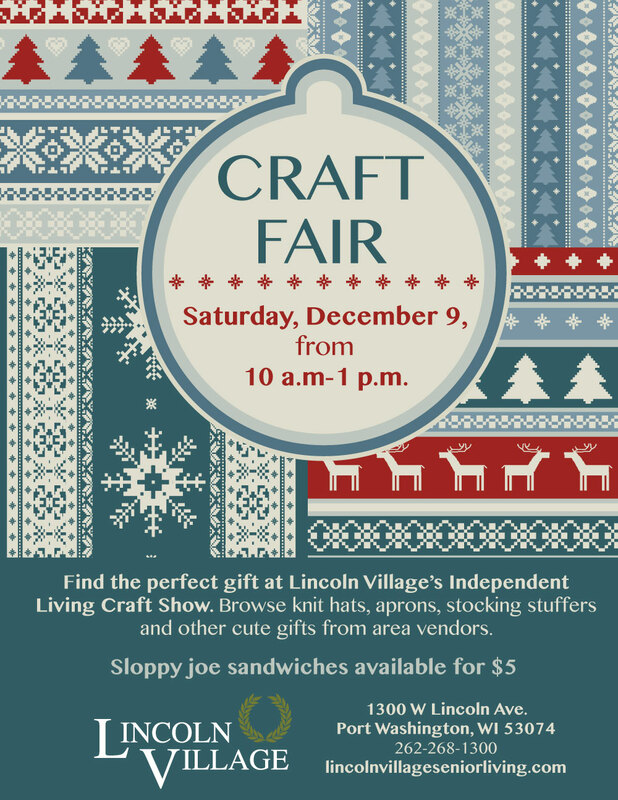 Then come to Lincoln Village on December 1 for our Career Discovery Fair! 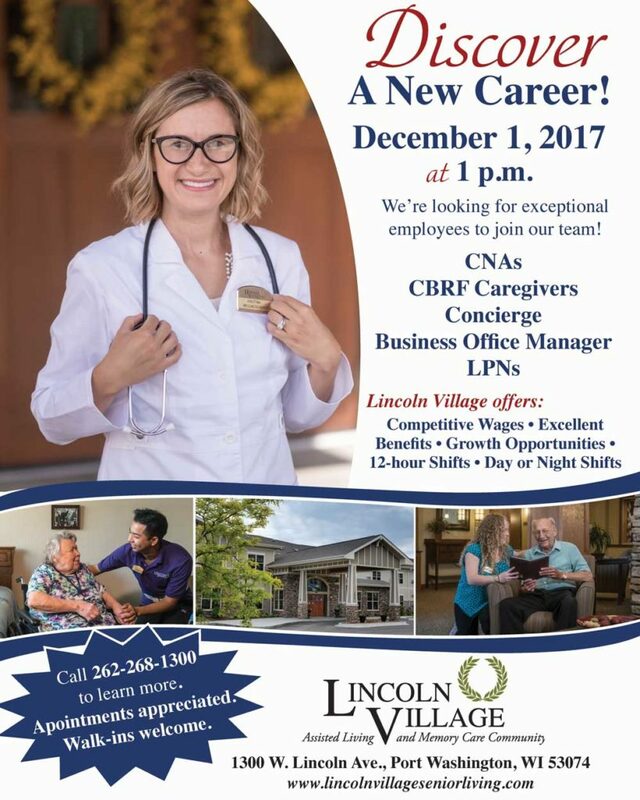 We have openings for CNAs, CBRF caregivers, a concierge, business office manager and LPNs. We offer competitive wages, excellent benefits and plenty of growth opportunities.